Subtitle: Why do we fall? Father rowed away? Traded kids for a boat? But I barely understand my notes so I will try to explain: ladies, gentlemen, et al, welcome to Surprise! 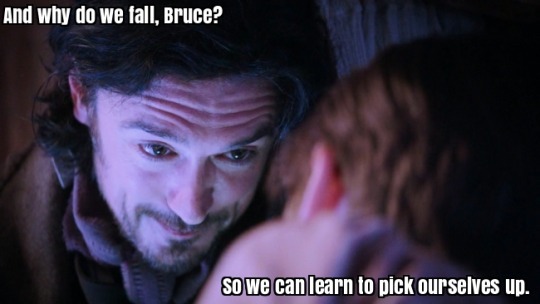 (LOL) Hook Has Daddy Issues Too. NO ONE IS SURPRISED. Literally every character on this series is defined by the terrible things their parents did to them. Papa Hook abandons his two children on a ship for reasons (that are never revealed), wanders about Doing Stuff (probably contemplating how it is actually all his own parents’ fault) until he is put under a Sleeping Curse by Someone for Reasons, and then he fell in love with his nurse (wait, they fell in love after he was already under the Curse? How does that work? ), and that made him a Good Guy. And! a Good Father because he had another kid with the nurse (before she DIED because of course she died). But wait, there’s more. 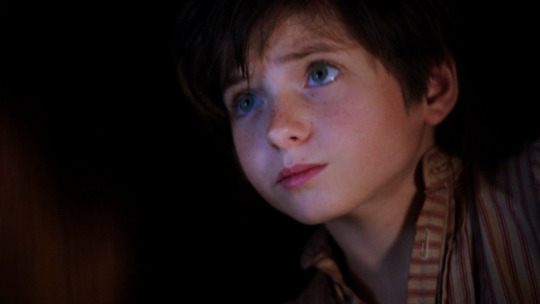 He named the new kid “Liam” just like he named his first firstborn son, aka Killian’s big brother who died after being poisoned in Neverland and trying to leave anyway (this show is so complicated). If the nurse had lived long enough to have another son would he be named Killian? Do the creators wish they hadn’t already given Hook a Tragic Backstory about his brother so they wouldn’t have had to do weird plot calisthenics to name the kid Killian to begin with? Or does the Brother Tragedy make the kid being Liam Even More Terrible because Hook has Unresolved Brother Issues as well as Unresolved Daddy Issues??? Probably. At first Killian is drawn in by Papa Hook’s Tale of Love and Redemption and agrees to fake his death and send him and his new son away. 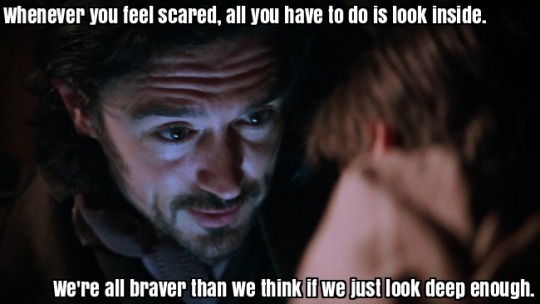 But when he witnesses his dad using the same words to calm down New!Liam that he did with bb Hook the night he abandoned ship (see above Batman Begins scene) big Hook snaps and chooses to murder him instead. The Evil Queen is satisfied and New!Liam follows a rabbit down a plot hole. An Army of Dark Ones is stalking Team Hero, but all they do is tag them. Or I should say, mark them. 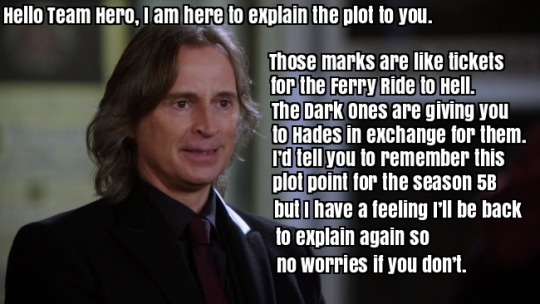 Thanks, Rumple! Interestingly this also finally explains why it took four billion years for Rumple to get to the Land Without Magic despite there being endless ways to do it. 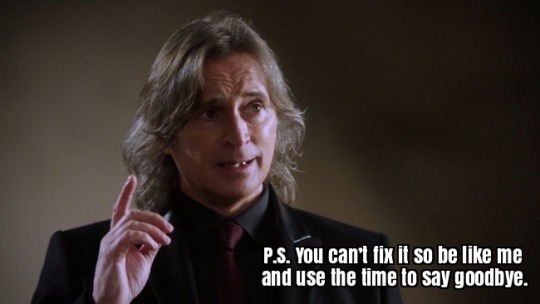 When the going gets tough Rumple gives up. At first Team Hero heads to the library to find a creative solution (I unequivocally LOVE that this show sends people to the library and books to figure stuff out all the time) but then they decide to give up, too. Snow: Maybe Rumple is right and we’re wasting the time we have left. 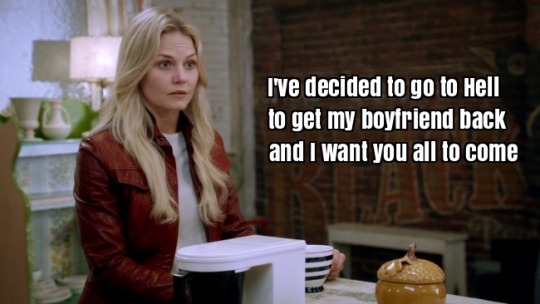 Snow: How about we go have one last meal at Granny’s together instead? Snow: I’m glad you agree. We believe in you, honey. We know you’ll figure out a plan all by yourself and make us proud. 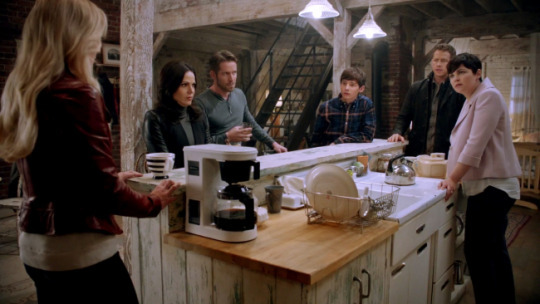 Emma: Wait, I’m not invited to family dinner? Snow: If we didn’t leave you here alone how could you come up with a way to sacrifice yourself for us? Anyways, since her family inexplicably bailed on her Emma heads to Regina (who had just expelled Zelena back to Oz) and drags her into her Dark One plot to take Darkness from Hook and put it back into Emma who will then use Excalibur to kill herself ridding the world of Darkness forever. They get Excalibur from Rumple who cautions that the wand chooses the wizard but Emma has protagonist privilege and is certain it will work. There is also a subplot about Rumple sending Belle away to live a happy life outside Storybrooke for like the third time and she calls him a hero and I hate everything about their relationship now sorry. 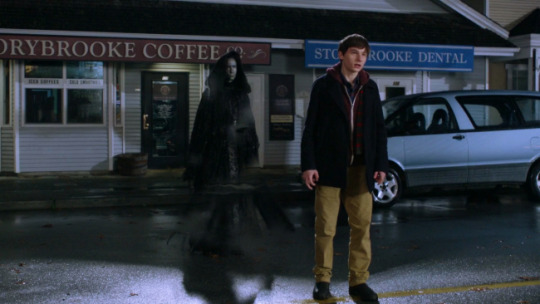 So Emma confronts Hook but gets played because Hook has been a Villain since he chose to kill his dad 800 years ago (or probably more like 30 but whatever) so he’s better at being a Dark One (in point of fact Emma is terrible at being a Dark One). Everybody has to board the Ferry to Hell after all. 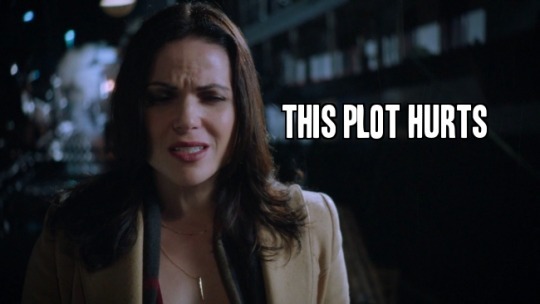 But Regina, MVP again and always, confronts Hook and convinces him to Be a Better Man. So HE takes all the Darkness into himself and then sacrifices himself to rid the world of Dark Ones forever. 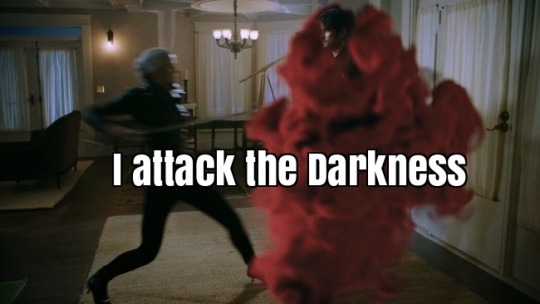 Emma has to make the killing blow, thrusting Excalibur into the man she loves (that sounds dirtier than I meant it to). Hook dies in Emma’s arms just like he was supposed to back in Camelot. Team Hero is saved from Hell. Belle finds out why she was sent away and returns to Rumple yet again. Emma is sad. …and still hearing the whispers of the Dagger/Dark Ones. She confronts Rumple and lo and behold, the Darkness returned to the Dagger and he is the one and only Dark One again/still. Shocking, I’m sure. Emma can’t live with Hook’s sacrifice being for nothing so she convinces Team Hero to go get him out of Hell. They agree because protagonist privilege is real (not that I’m complaining) (much).